We are delighted to launch our new Canvas and Fine Art Print design and printing services. Our new online store at www.nqmediadesigns.co.uk offers a range of great designs for a wide range of occasions. 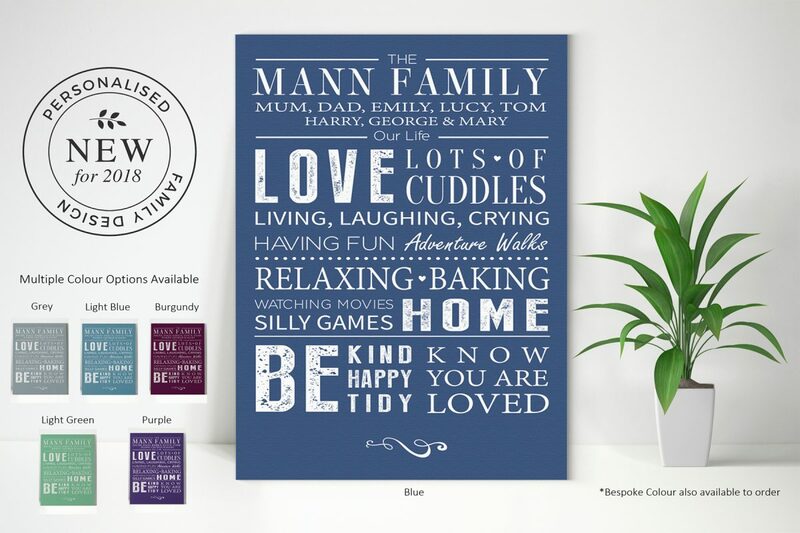 From prints designed to celebrate special moments in your life like a Christening, Engagement, Wedding, Birthday through to celebrating you as a family. We are also happy to help you transform your own photographs into a piece of art that you will be proud to display in your home adding touching messages, names or artwork that help transform the finished design into a special keepsake. NQ Media Designs are also happy to offer bespoke designs that can be created just for you. If you have a special moment in your life that you would like to celebrate or perhaps have a special print created to remember a special loved one please feel free to contact us. This entry was posted in Design & Photography. Bookmark the permalink.